London is ever changing, and that goes double for its hotels. Unlike many capital cities, London likes to renovate and repurpose its historic buildings instead of just tearing them down. And this has created some pretty exciting hotel spaces, with a number of major hotels taking over buildings that have had a long and interesting past as something else – from courthouses to hospitals, from government buildings to prisons and banks. If you fancy a stay in a hotel that has enjoyed an interesting former life – then why not try these historic sleeping places. Originally the home of William Hazlitt and billed as London’s oldest hotel, the houses that make up the hotel on Soho’s Frith Street date back to 1718. Team a stay here with a visit to the newly reopened L’Escargot restaurant on Greek Street. Formerly the Great Marlborough Street Magistrates Court, notorious for the place where Oscar Wilde sued Queensbury for libel, Charles Dickens worked as a reporter there for the Morning Chronicle, Christine Keeler was tried during the Profumo scandal and Mick Jagger was fined for drugs charges. This grand building alongside the Thames and nearly opposite Parliament was the HQ for the Greater London Council and was opened in 1922 by King George V.
On High Holborn, this extraordinary, ornate building was once the head office of the Pearl Assurance Company, with grand boardrooms, arcades of Pavonazzo marble and a cupola that rises over 50 meters. Designed by H. Percy Monckton in a (very!) flamboyant Edwardian style, the first part of the building was completed in 1914the arcades of Pavonazzo marble frame a view of the cupola that rises to 50.6 meters (166 feet), the maximum permitted height at the time of construction. Andre Balazs new venture is in an old fire station in Marylebone and has swiftly become THE place to see and be seen. The Malmaison is in a former nurses quarters for workers at Bart’s hospital, all set within beautiful Charterhouse Square. Trendy new Shepherd’s Bush hotel that used to house the The Pavilion cinema – a Grade II listed building which overlooks Shepherds Bush Green. New opening in Mayfair from the team behind The Wolseley that is a former art deco garage – which isn’t to denigrate this historic, beautiful building from 1926 overlooking Brown Hart Gardens. Sculptor Antony Gormley has created a suite in the hotel called ROOM, which is a huge modular piece made of stainless steel and fumed oak and placed a low-level wing on the south side of the building. 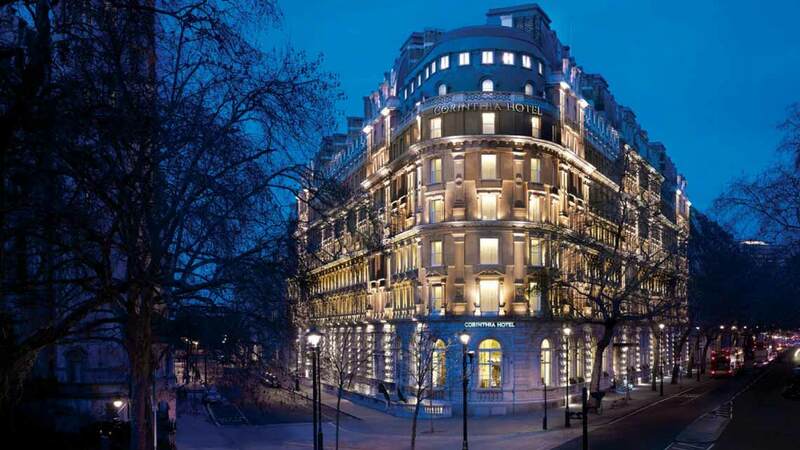 Close to the Thames and Trafalgar Square, the Corinthia London is in a grand Victorian building dating from 1885. Originally the Metropole Hotel, it was commandeered in both World Wars and became a Ministry of Defence building until sold in 2007. Bow Street Magistrates Court – Including bedrooms in some of the old cells. Hotel at Admiralty Arch. 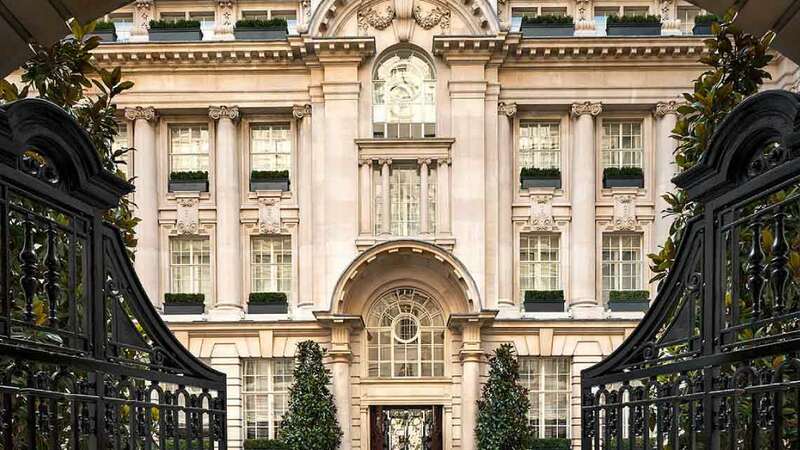 New hotel in the iconic London landmark, to be developed by Rafael Serrano. Great Scotland Yard Hotel. The former Met Police HQ on Great Scotland Yard, which was the base of the London police force from 1829 to 1890 and was rebuilt in Edwardian style in 1910, is steeped in history including where the Jack the Ripper crimes were investigated. The building is set to become a lavish five star hotel by the Galliard Group. Midland Bank head office, between Poultry Street and Princes Street near Threadneedle Street in the City. The new hotel will be from the Soho House people, and within Sir Edwin Lutyens’s beautiful building that dates back from 1925.